German sporting dominance was often viewed with an air of suspicion on the British Isles, thanks to World War sentimentality, relative economic strength, and historical state-sponsored doping for political gain by the East Germans. Jürgen Klinsmann never represented the East, but he still drew abuse when he first took to British shores to sign for Tottenham in 1994. He had a reputation as a diver, which was blasphemy for an English crowd used to blood and guts displays in the spirit of Terry Butcher. Klinsmann responded by diving ironically after scoring in a 4-3 thriller against Sheffield Wednesday on the opening day of the season. He always has an answer for his critics, and the statistics prove that he’s one of the most potent strikers in recent history. He won practically every trophy he was eligible for, with broken hearts and fractured teams often left by the wayside as he progressed through a nomadic career. 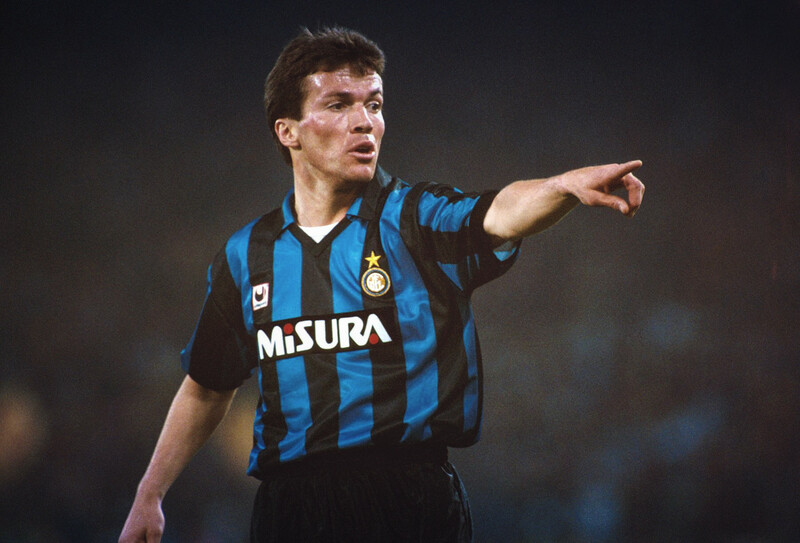 There was a time when the thought of coming up against ‘The Golden Bomber’ used to scare opposing defenders and fans alike, and there was no doubting his importance to the side when the forward was named as the captain of the reunified German national team in 1994. In later years he went on to manage Germany during the beginning of their recent renaissance, and he eventually coached Bayern Munich and the US national team in the high definition era. Despite his achievements, he’s still remembered for going to ground too easily, and for taking half a decade to split the American soccer public. It’s clear that Klinsmann still divides opinion depending on which side of the Atlantic you call home. Team USA may not agree, but most Tottenham fans are confident that his legacy will be unsullied when judged on merits that look past his recent history alone. It’s worth recognising just how incredible he could be while he still had the chance to apply the final finish himself. 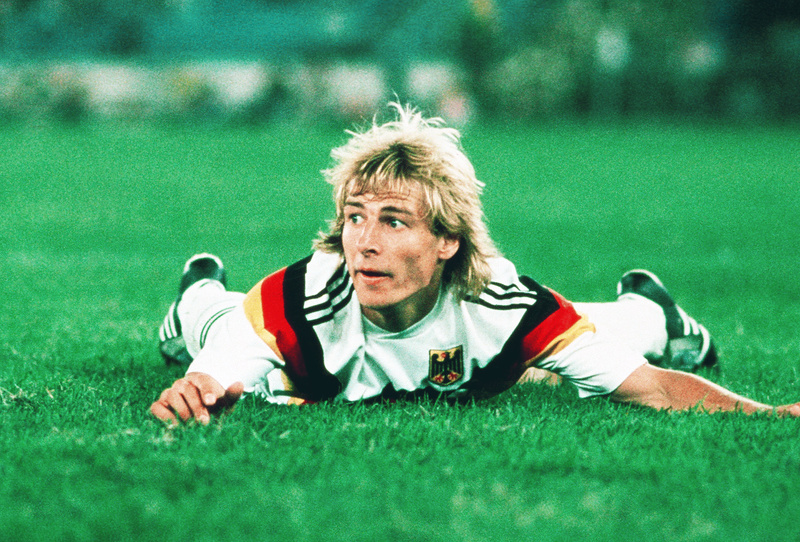 When he turned professional at the age of 16, it was clear that Klinsmann had the talent to make it to the top. He was on the books at Stuttgart Kickers, and moved up to the first division in 1984 when he signed for their local rivals at the first possible opportunity. VfB Stuttgart were lucky to have a goalscoring prodigy on their books, but they also played an important role in terms of his formative education of the game. He wasn’t the biggest or the strongest but he was driven by abundant willpower and intelligence, giving him an edge if the opponent flinched. VfB made it to the UEFA Cup final in 1988-89, although they ended up losing 5-4 on aggregate after a 3-3 draw in the second leg. It was clear that their young forward was destined to continue fighting for the best accolades available, moving on despite the brave showing by his team-mates in Europe. He was always loyal to the idea of furthering his career, and his next move could also be seen as a logical progression in terms of club size and international pedigree. 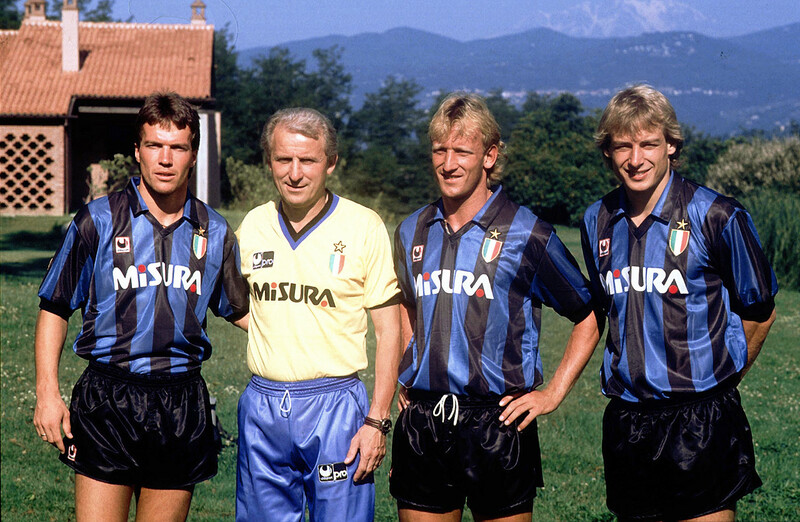 Inter Milan was Klinsmann’s next destination, with the Italian club hosting some of the most famous players of the era. He joined to learn under Giovanni Trapattoni, and the team had secured the league title with ease in the months leading up to his signing. The UEFA Cup was claimed during their second season, but the familiarity and success only seemed to breed contempt in his third year with the Italian side. The forward ended as their top scorer – as he generally tended to – but it was a disappointing season due to an eighth-place league finish and an embarrassing European Cup exit for the holders. It was easier to move on, so he continued his tour of Europe with no regrets. He went on to Monaco in 1992, with his goals enough to propel the side to an unexpected second place finish in Ligue 1. They reached the semi-finals of the UEFA Cup in the following season before it all came apart at the seams once again. He got into public spats with his team-mates because of his perception that a number weren’t trying hard enough, and the squad split into rival camps. In a recurring theme, it was time to leave. He signed for Tottenham in a deal which surprised many at the time. They were hardly in keeping with his previous picks, and Spurs were destined to finish seventh as they kept to their reputation as perennial nearly men. The Premier League was a different beast back in 1994, but Klinsmann had no trouble adapting. In fact, he had already decided that the squad lacked the ability to challenge for major honours, and had no problem with vocalising his thoughts to the press and the chairman. 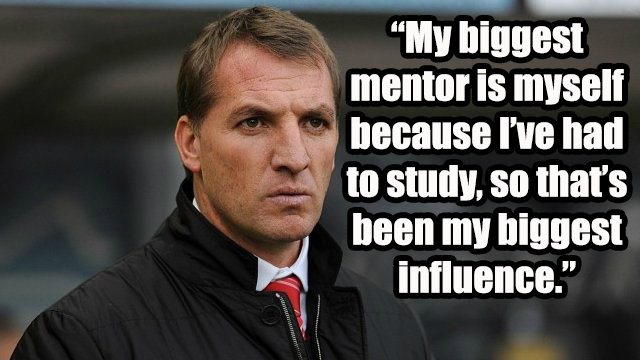 It hadn’t worked in the past but he was quickly accepted after proving his ability at the Lane. He ended the season as the FWA Footballer of the Year but his time with the club was cut short when Bayern Munich came calling in the summer. The ruthless streak that defined his career left him with no choice but to accept the offer of moving to a club that had a better chance of winning their domestic league, and it broke the heart of fans who thought he would stick around for at least one more year. Despite the fawning press and his importance to the side, it was the end of his time with Tottenham, which led then-chairman Alan Sugar to proclaim that he wouldn’t use his shirt to clean his car. The Apprentice boss is known for his fondness of quips and dodgy tweets, but it underlines just how much he wanted the player to stay. He returned to Germany to sign for Die Roten and continued his knack of finishing as the top scorer at the club. The goals alone only show one side of the story, as the return to his homeland didn’t have the desired effect in the long-term. Pressure from the media began to take its toll, although he won the league and broke records in typical fashion. Klinsmann also picked up another UEFA Cup win, emerging victorious in the 1996 final against Bordeaux. He decided to move to Italy next, though Sampdoria proved to be a minor footnote in the tapestry of his varied career. He had unfinished business in England, and Tottenham came calling once more. He dragged the North London team away from a relegation battle and hung up his boots at the end of the 1997-98 season as his legs began to fade. His club career is impressive enough, with a decent goal-per-game ratio and fond memories for the fans who got to see him grace the pitch. Despite a penchant for annulling contracts faster than a noughties popstar, he tended to leave the other party wanting more when it came to his cold analysis of the best option. He was no robot, and he continued to win over fans and press with both charm and application on the pitch, as well as a knack for winning trophies. Along with a couple of UEFA Cups, domestic titles, and an enviable list of personal accolades, he was also the talisman for his international team. He called time after bagging 40 goals from 82 starts, and he won both the World Cup and the Euros. As always, he managed to come up with vital goals that made his eccentricities easy to bear. He took up the mantle as the primary source of goals for his team, and he provided the goods for both club and country until his eventual retirement. France 1998 was his last international tournament, but it wasn’t the end of his association with the squad. The eyes of the world were in focus once more after he took over as the manager of Germany six years later. He opted to bet on the future of the national side, blooding many of the players that came to be household names over the next few seasons. The 2006 World Cup seemed to come at a time where the stars aligned for their young squad, and they had the perfect leader to subvert their relative lack of experience. The team finished in a respectable third place, and it was clear that their blueprint was likely to yield success in the future. Even so, he declined to renew his contract after the tournament, citing the need for a break with his family. He ended up signing for Bayern after spending some time away from the game. The former title-winning captain had struggled to settle into the glamour side during his time as a player, and it proved even tougher during his time as the manager. He won nothing and was sacked with five league games remaining. It made sense that international football was his preferred destination afterwards. After all, much of his previous success had come in high-stakes tournament matches. Klinsmann took over the US national team in 2011 – after living in America for much of his post-playing career – and for a time it seemed like the squad was moving in the right direction. He promised expansive, attacking play, in a bid to match South American sides that had enough technique to make their US counterparts look semi-professional at times. Klinsmann had struggled in his previous managerial role, but he was hardly conjuring images of David Brent when he joined. The US has always been keen to replicate the history and reputation of their European counterparts, and he still had a surplus of worldwide respect after his work with Germany as both a player and manager. Thousands of words have been spent on the fallout and regression that many argue were the defining factors of his reign, and there’s no point in adding to the mix of contrasting opinions about his tenure. Whatever your feelings on the matter, it was clearly a sore breakup, which is still emotive for everyone involved. It’ll probably take a few years until they start sending Christmas cards again. Klinsmann was briefly the favourite when the England job was made vacant in the months that preceded his sacking, while he was linked to the Premier League before he parted ways with the US. If he decides to go again, there will be no shortage of interested clubs willing to take a punt on a high-profile name whose star has started to wane. It’s likely to take us ever further from the heady heights and memories which his name used to conjure up from his playing days. All things come to an end, although there’s still time to prove he was more than just the right person at the right time when the World Cup arrived in the fatherland. No matter his next move, he should be remembered as a disruptive winner who once had enough skill to be instantly forgiven.